The United Nations Sustainable Development Goals (SDGs) constitute a broad and ambitious agenda for the world to achieve by 2030. Although governments are the primary drivers for implementation of the agenda, it has been widely acknowledged that public-sector resources often fall far short of what is needed to achieve the goals. Private-sector innovation, expertise, and financing are needed to meet the demands of the SDGs. The goals themselves, through Goal 17, explicitly invite business to be a partner in their implementation. The case has also been made that investing in the goals can protect and grow business as well as foster economic growth. However, tensions still exist around the role of private companies in development despite this call for engagement in the SDGs and the related case for business. Within the health sector specifically, there has been much progress in public-private collaboration, but historic examples of misalignment between business motivations and public interests have created a lingering wariness among some stakeholders about business engagement in global health. Given the centrality of health to development and the SDGs agenda, it is critical that progress be made to more effectively align business and public interests in support of health-focused initiatives to advance the SDGs. In 2016 the US National Academies of Sciences, Engineering, and Medicine convened a workshop series on engaging business and developing partnerships to advance health and the SDGs with the objectives of better understanding the perspectives of critical stakeholders and facilitating discussion on challenges and opportunities to make progress . 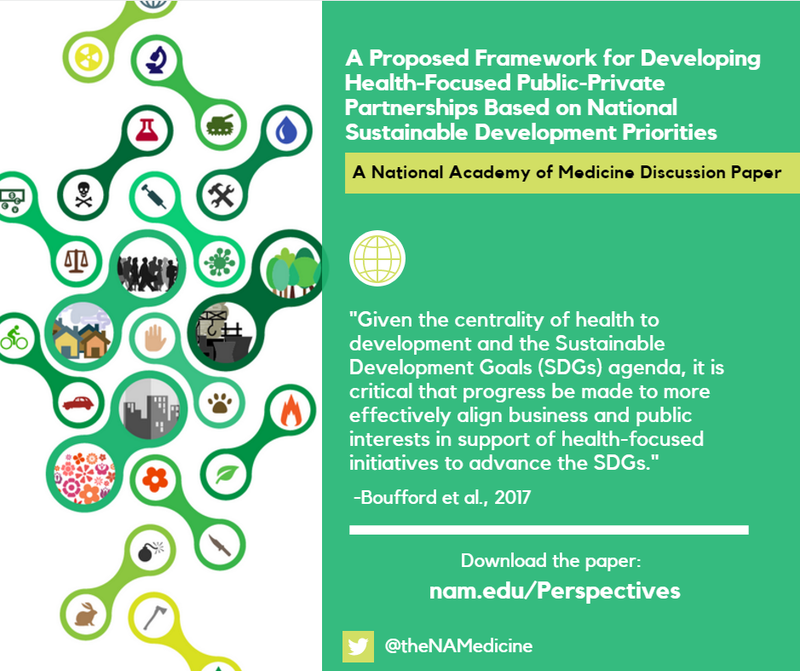 To advance the dialogue from the workshop series, we propose here a framework for developing health-focused public-private partnerships based on priorities countries are defining through their national plans for sustainable development. Health outcomes are the product of multiple health determinants, inclusive of health care as well as social, behavioral, environmental, and economic factors. Addressing health and its determinants is central to advancing the human development agenda. Sustainable and scalable solutions to health and development challenges are possible when companies use their core competencies and align their business interests with public-sector priorities. Greater impact is possible when business engages in development through broad-based partnerships and coordination with government along with the development community, academia, foundations, and civil society, among other entities. All partners and stakeholders should have a shared understanding of the health and development priorities of the government, the health status of the partnership’s target population, and the shared goals to advance community-identified priorities. An enabling environment is needed to encourage and monitor partnerships as well as to provide a platform for initiating and sustaining cross-sectoral discussion to advance the health agenda. This framework is intended as both a call to action and a tool for developing health-focused public-private partnerships at the national level that are inclusive of business. The central stakeholders in these partnerships are government and private-sector companies. Companies include national and multinational businesses that are engaging in partnerships at a national level. Recognizing the potential opportunities for positive health effects across the development agenda, relevant stakeholders for this framework are wide ranging and inclusive of nontraditional health actors in both the public and private sectors. The Sustainable Development Goals (SDGs) consist of 17 specific goals and 169 associated targets that establish quantitative objectives across the social, economic, and environmental dimensions of sustainable development, all to be achieved by 2030 . The goals apply to countries across all levels of income and current development status. Health has been recognized as crucial for sustainable human development  and an essential contributor to economic growth . The SDGs agenda offers an opportunity to acknowledge health as pivotal to economic growth and sustainable development . When countries adopted the SDGs agenda, Ban-Ki Moon, secretary general of the UN, made it clear that business has the potential to act as a major driver for success in pushing forward the SDGs when he called for “responsible companies to deliver solutions” . Development experts note that the projected costs of achieving the SDG goals cannot be met by development aid or domestic public resources alone, and that advancing the goals must involve the leveraging of significant private-sector capital, know-how, and innovation . By using core competencies and aligning business and development interests, companies can make powerful contributions to advancing the SDGs. Businesses can advance development by creating new products and services or business models that align with the targets of the SDGs and that are sustainable and scalable. Advancing the SDGs also benefits business by reducing risk, strengthening operating environments, and growing new markets . Business practices that align with the principles of responsible business and the SDGs foster economic growth, which benefits companies, governments, and society . Companies are taking different approaches to their engagement with the SDGs. Some have identified specific targets within the SDGs that align with current business objectives, and they are incorporating these targets into existing company initiatives or developing new initiatives in support of them. Others have amended or created business strategies to promote the kind of responsibility and sustainability for which the SDGs call [10,11]. Many are considering lessons learned from previous and existing development-focused partnerships to inform their approach. Through the Busan Partnership for Effective Development Co-operation, there is stated agreement that partnerships for development that include business can succeed only if they are country-led approaches tailored to country-specific situations and needs . In calling for all countries to articulate their priorities for achieving the SDGs over the next 15 years, the SDGs agenda provides a unique opportunity to catalyze the development of public-private partnerships that are specific to country-identified needs. Through the SDGs, businesses and governments can identify areas of mutual interests and pursue the development of sustainable partnerships to address the Sustainable Development Goals. Since the announcement of the SDGs, countries have been developing national action plans for implementation. During this process, governments are updating health and development information; reviewing national priorities and the focus of current international development assistance; and determining which policies, laws, and strategies are already aligned with SDG targets and which need changes. Many countries are identifying opportunities for greater alignment and effectiveness in reaching their goals through partnerships. In 2016, countries began voluntarily presenting their national plans during the UN High-Level Political Forum through the Voluntary National Review (VNR) process. In the plans that have been presented already, several countries have emphasized private-sector engagement, public-private partnerships (PPPs), and/or Goal 17 as a priority for implementation. In considering the development of this framework and its potential for impact, we performed a scan of the literature and reflected on perspectives shared during the National Academies workshop series . Although there are a number of existing frameworks for business engagement in development and the SDGs, we were unable to identify a framework to guide the development of health-focused PPPs that are based on national priorities and inclusive of business. There are three key elements of this framework. First it focuses on health and its determinants, broadly defined. Because health affects and is affected by all aspects of human development, the health of populations is central to national economic and social development. Given the broad determinants of health there is an impetus for all sectors engaging in the SDGs to consider their role in advancing health (see Figure 1), . For additional context on the multiple determinants of health, see the Communities in Action: Pathways to Health Equity model, published by the National Academy of Sciences, Engineering, and Medicine. Figure 1 | Broad Determinants of Health | Source: Adapted from New York Academy of Medicine. 2016. Making Cities Healthier Worldwide. Presented at the International Conference of Urban Health, San Francisco, CA. Secondly, we propose components of a partnership between government and business that are based on country-identified priorities and aligned with business interests and core competencies to create potential for sustainable partnerships to advance the Sustainable Development Goals. Finally, we propose elements of an enabling environment that can facilitate the desired partnerships (see Figure 2). 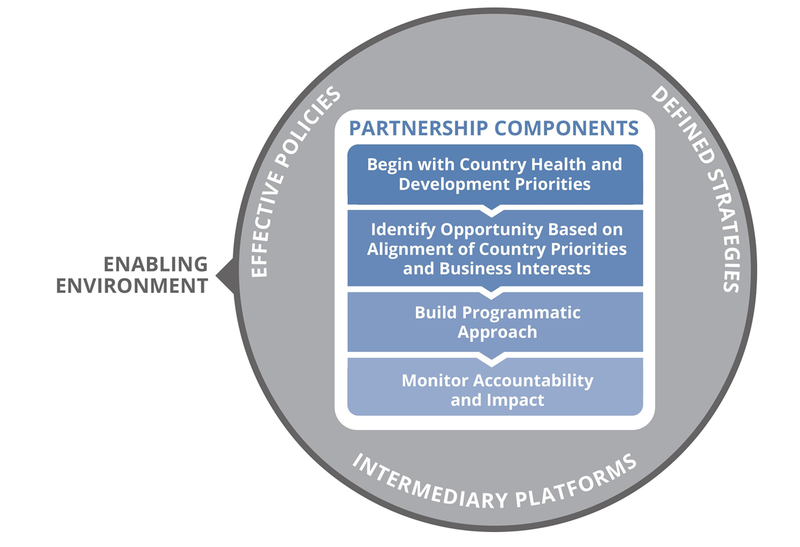 Figure 2 | Proposed Framework for Developing Health-Focused Public-Private Partnerships Based on National Sustainable Development Priorities | Source: Boufford et al., “A proposed framework for developing health-focused public-private partnerships based on national sustainable development priorities,” National Academy of Medicine. Build the partnership from the beginning on a clear understanding of a country’s health and development priorities and the health status of the partnership’s target population. National sustainable development plans serve as a guide to identify country priorities. Beyond the SDG plans, other country-owned plans and frameworks can be used to identify priorities. Examples include the Joint External Evaluation assessment tool and Uganda’s Vision 2040. There are examples of similar plans at the regional level as well, such as the African Union’s Agenda 2063. Starting with country-led plans enables an assurance of a shared sense of purpose and health outcome objectives that align with articulated country priorities. The SDGs reinforce this principle and call for partnerships for sustainable development to be monitored based on their alignment with national priorities (refer to SDG Indicator 17.15.1). Starting with country-led plans, companies should perform internal due diligence to develop a clear understanding of how their business interests and core competencies are aligned with a country’s priorities, and then identify what expertise, resources, and assets they can bring to a partnership. Alignment of these with country priorities may offer the best starting point for clarifying goals and roles in entering the partnership with government and increase effectiveness and the potential for sustainable and scalable solutions. 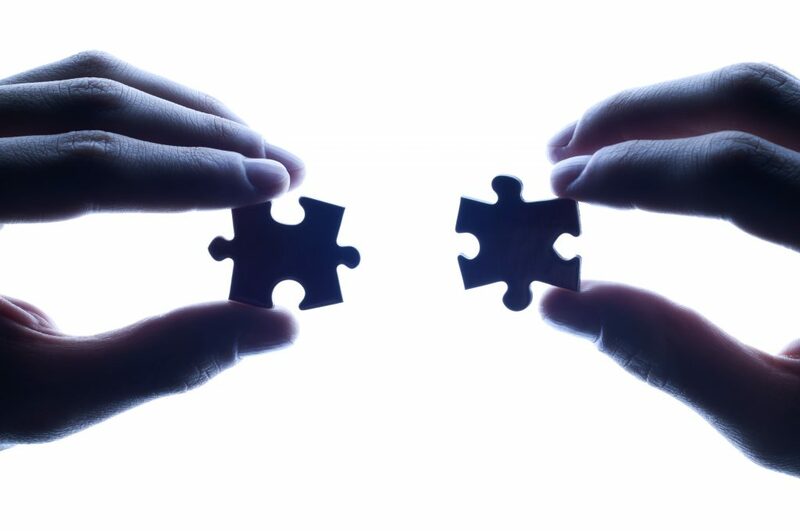 Before initiating a partnership, companies should also perform external due diligence to understand the broader context for the health issue being targeted and the potential value of the company’s involvement. Companies may perform a landscape analysis to map existing initiatives and determine if there are other initiatives or actors working toward advancing the same or a related health priority. The purpose of this step is to identify gaps that could be filled, current efforts that could be enhanced, or potential opportunities to coordinate engagement or collaborate in a country with government as well as other companies or additional stakeholders. When an opportunity in a country is identified, the public sector and business stakeholders should discuss their shared interests as well as individual competencies and resources to jointly define and develop a programmatic approach to the partnership. Based on this discussion, both sides can reach a mutually beneficial agreement on the purpose and outcomes of the partnership. Moving forward, the core public sector and business partners may find it valuable or necessary to engage other relevant stakeholders, including representatives from civil society, development agencies, academia, and philanthropic organizations, among others. Given the centrality of health across development and the range of health determinants, stakeholders may include public-sector actors beyond the ministry of health, such as ministries of finance, transportation, and telecommunications. On the business side, stakeholders may include companies in the food and beverage, logistics, consumer products, and technology industries, among others. These identified stakeholders should be engaged early in the formation and operation stages of the partnership to ensure their perspectives are represented and all partners have a shared understanding of and agreement on the intended purpose and outcomes. During the formation of the partnership, where possible, stakeholders should consider the potential health and development effects of the initiative across the SDGs. The goals are indivisible and interconnected, and efforts to advance one priority within the agenda may have positive or negative effects on others. Monitoring progress on stated partnership objectives and agreeing on timetables for measuring progress toward desired outcomes are critical to ensuring the partnership is addressing the country’s priorities and advancing the partnership’s intended goals. Partners should agree to shared metrics and assure they have the means to collect the data needed to report on them. These metrics should, where feasible, include indicators of health outcomes and should certainly measure contributions to achieving the relevant SDG goals and partnership processes and expectations. Gathering baseline data up front is essential to effective evaluation both during and at the conclusion of the partnership. Partners should jointly agree to a process for monitoring and evaluating progress and commitments. Externally, the partnership may be monitored through country reporting on Goal 17, particularly indicators 17.15.1, 17.16.1, and 17.17.1, as well as through reporting on the contributions of the partnership to progress on the other SDGs. Business-sector innovation and investments rely on the regulation and the rule of law for transparency, stability, and predictability. When business engages in national-level health-focused PPPs, partnerships are affected by policies and regulations in countries where the partnership is developed and in the business partners’ countries of origin. Effective policies can both encourage partnerships and regulate them to ensure they are addressing health needs and the priorities of both countries. Goal 16 of the SDGs calls for countries to “build effective, accountable, and inclusive institutions at all levels.” Targets within Goal 16 illuminate aspects such as the rule of law, good governance, and transparency that are critical to creating these effective policies and regulations. As with all of the SDGs, governments will be the primary drivers of meeting the targets under Goal 16 and strengthening the enabling environment for PPPs. However, through action, business can serve as a complement to government by respecting and strengthening the rule of law . Clearly defined government strategies and corresponding policies for business engagement and PPPs signal that government is inviting responsible business to be part of its development solutions. These defined strategies are needed from governments where PPPs are operating as well as from governments providing development assistance. In countries where partnerships are being initiated, strategies may include calling for partnerships and engaging the business community in the implementation and monitoring of country plans. Development agency strategies may include creating or improving mechanisms for stimulating business engagement in the country’s development initiatives to leverage businesses’ core competencies and interests, facilitate investment capital, and spur private-sector innovation. Development agencies can also serve to coordinate business engagement in development and enable broader partnerships such as multistakeholder alliances. A number of countries that have submitted to the VNR have named these strategies in their plans. Institutional platforms that can act as legitimate, neutral, unbiased conveners often can facilitate initial discussions among stakeholders through which past tensions or concerns can be addressed, clearing the way to promote and enhance the development of the partnerships that are being called for and defined through public-sector strategies and policies. Potential regional and national “platforms” can be seen around the world. The UN Global Compact has established independent regional and national networks to promote collaboration with the private sector and develop partnerships. Many countries have national academies of sciences that provide a neutral evidence-based platform to bring together stakeholders from the public and private sectors and can convene unbiased multisectoral dialogue through which stakeholders from different sectors can learn about each other and increase their ability to work effectively together with the goal of advancing national development priorities. This proposed framework is intended as a call to action for the business community and governments in collaboration with other stakeholders to create sustainable partnerships to address defined health and development priorities. 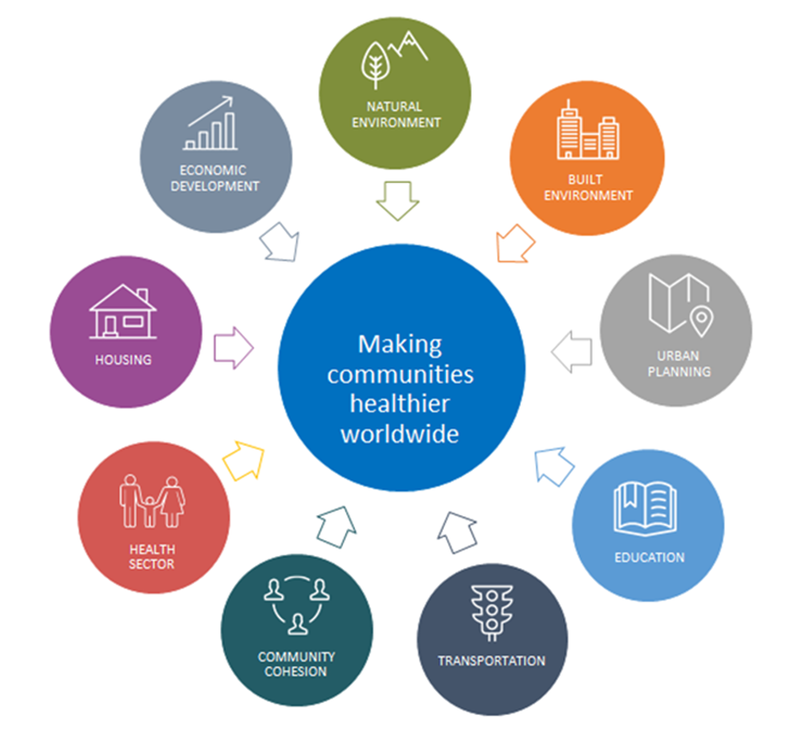 It is based on a broad definition of health and the multiple determinants that can influence it and on the premise that by starting with country-identified health priorities and engaging businesses based on their core competencies and interests, sustainable partnerships that address health in the SDGs can be developed. The framework acknowledges that these sustainable partnerships will be dependent on shared goals, clear roles, agreement on metrics for monitoring, and accountability for agreed-upon results. We encourage the business community, governments, and other stakeholders to consider this approach to partnership development and begin to take the necessary steps to create an enabling environment for such partnerships suited to different national conditions. Following the input and discussion during the 2016 National Academies workshop series, it is hoped that this proposed framework can be a tool for action and continued dialogue for public-private partnerships that improve health. NASEM. 2017. Engaging the private sector and developing partnerships to advance health and the sustainable development goals: Proceedings of a workshop series. Washington, DC: National Academies Press. United Nations (UN). 2015a. Transforming our world: The 2030 agenda for sustainable development:A/RES/70/1. https://sustainabledevelopment.un.org/post2015/transformingourworld (accessed May 19, 2016). Alleyne, G., A. Binagwaho, A. Haines, S. Jahan, R. Nugent, A. Rojhani, D. Stuckler, and Lancet NCD Action Group. 2013. Embedding non-communicable diseases in the post-2015 development agenda. Lancet 381(9866)566–574. Economist Intelligence Unit. 2016. Economic growth and healthy populations in developing countries: A summary of recent literature. London: Economist Intelligence Unit. Buse, K., and S. Hawkes. 2015. Health in the sustainable development goals: Ready for a paradigm shift? Globalization and Health11(1):1. UN News Centre. 2015. Remarks at the United Nations Private Sector Forum. September 26, 2015. https://www.un.org/sg/en/content/sg/speeches/2015-09-26/remarks-united-nations-private-sector-forum (accessed April 20, 2017). UN. 2015b. Addis Ababa Action Agenda of the Third International Conference on Financing for Development. New York: UN. http://www.un.org/esa/ffd/wp-content/uploads/2015/08/AAAA_Outcome.pdf (accessed April 20, 2017). Torres-Rahman, Z., G. Baxter, A. Rivera, and J. Nelson. 2015. Business and the United Nations: Working together towards the Sustainable Development Goals: A framework for action. SDG Fund, Harvard Kennedy School CSR Initiative and Inspiris Limited. http://www.sdgfund.org/sites/default/files/business-and un/SDGF_BFP_HKSCSRI_Business_and_SDGs-Web_Version.pdf (accessed April 20, 2017). Business and Sustainable Development Commission. 2017. Better business, better world. Available from: http://report.businesscommission.org/uploads/BetterBiz-BetterWorld.pdf. Global Reporting Initiative (GRI), United Nations Global Compact (UNGC), and World Business Council for Sustainable Development (WBCSD). 2015. SDG Compass: The guide for business action on health. Available from: http://sdgcompass.org/wp-content/uploads/2015/12/019104_SDG_Compass_Guide_2015.pdf. Klynveld Peat Marwick Goerdeler (KPMG) and UNGC. 2015. SDGs industry matrix. Available from: https://www.unglobalcompact.org/library/3111. Organisation for Economic Co-operation and Development (OECD). 2011. Busan Partnership for Effective Development Co-operation. Fourth High Level Forum on Aid Effectiveness, Busan, 29 November–1 December 2011. http://www.oecd.org/dac/effectiveness/49650173.pdf (accessed April 20, 2017). UNGC. 2015. Business for the Rule of law framework. UN. https://www.unglobalcompact.org/docs/issues_doc/rule_of_law/B4ROL_Framework.pdf. Jo Ivey Boufford, MD, is President of the New York Academy of Medicine. Renuka Gadde, MBA, is the Vice President of Global Health at Becton, Dickinson & Company. Christian Acemah, MSc, is the Executive Secretary and Special Advisor to the UNAS Council at the Uganda National Academy of Sciences. George Alleyne, MD, is the Director Emeritus of the Pan American Health Organization. Simon Bland, CBE, MS, is the Director of the New York Liaison Office at UNAIDS. Brenda Colatrella, MBA, is the Executive Director of Corporate Responsibility at Merck and is the President of the Merck Foundation. The authors wish to thank Scott Ratzan, Justin Koester, Rachel Taylor, and Priyanka Nalamada for their contributions during the development of this paper. Questions or comments should be directed to Rachel Taylor at RMTaylor@nas.edu.